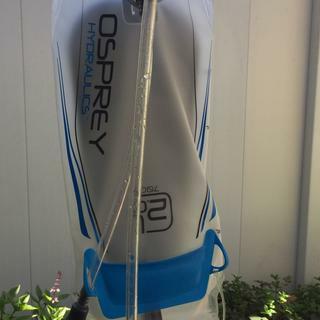 Osprey teamed up with Hydropak to create the Hydraulics 2L Reservoir, a light weight streamlined hydration bladder. 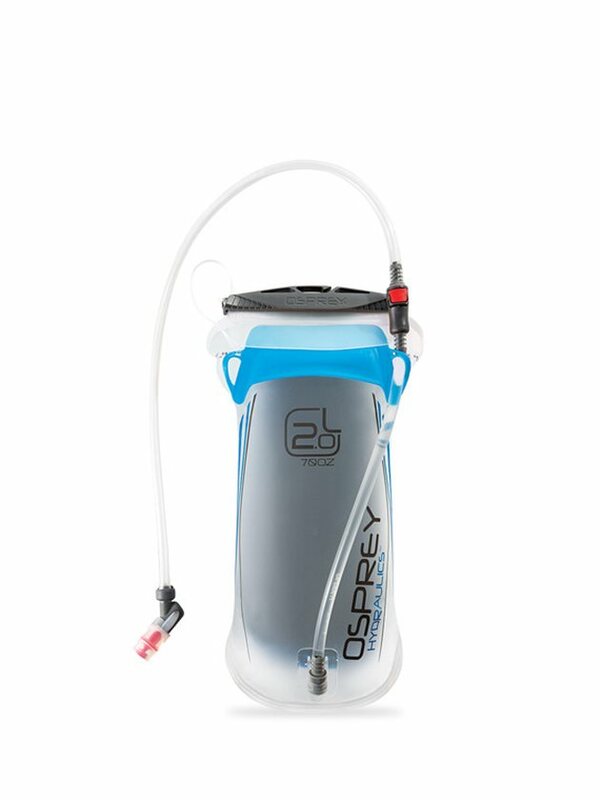 The thin design makes loading and unloading it into your hydration pack easier than ever. The HydroStatic backerplate lends the reservoir a more solid form to help with movement. Designed to last you season after season, the reservoir is exceedingly easy to clean, refill, and of course hydrate yourself with. All materials in the bladder's construction are FDA and EU approved, and BPA, phthalate, and lead free. The two part hose features the QuickConnect System for easy refilling and replacement on the trail. Their Hydropak Blaster nozzle provides smooth water flow and a twist on/off switch. The bite valve's magnet attaches the hose effortlessly to your Osprey pack's sternum strap. One of the great benefits of owning an Osprey product is their All Mighty Guarantee, which offers to repair any damaged or defected goods for any reason free of charge no matter when it was purchased so you can go on your adventures worry-free. Great water reservoir! I enjoyed a hike and was impressed with the ease of drinking. Purchased on 2017-05-30. Been using it for about 25 times plus and having no leaks or any problems. After each use, rinse with water, detach the hose, hang the bag upside with the plastic piece/slider inserted in the opening for air circulation, and the hose also. It should be dry and ready for next day. I like this reservoir! It's easy to clean and fill. The detachable hose makes it super easy to remove from your pack to fill. You don't have to fill your reservoir while still in the pack and you don't have to un-route the hose to to remove the reservoir. Well thought out product! I ordered this hydration bladder, as my new one someone seemed to explode on me, I am very happy with the quality of this products as well as how quickly the item arrived.